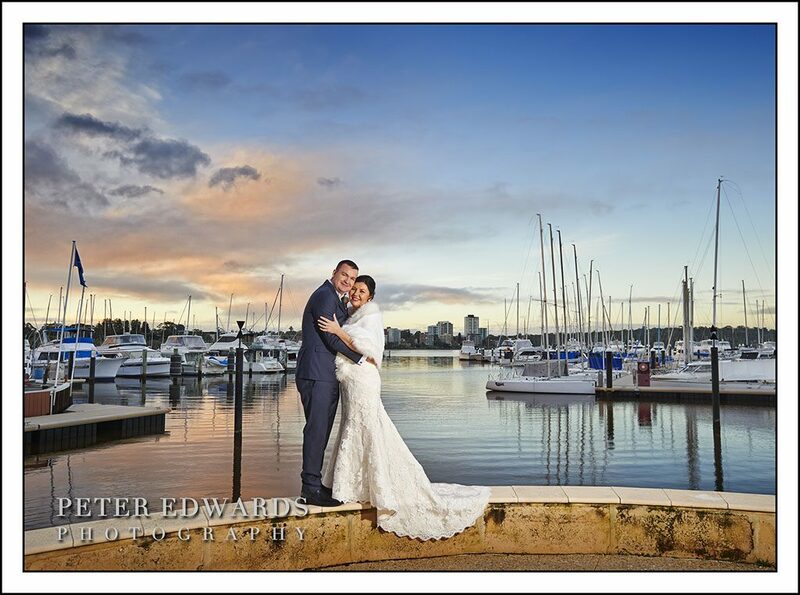 Mark and Linley chose fabulous venues for their Perth winter wedding. 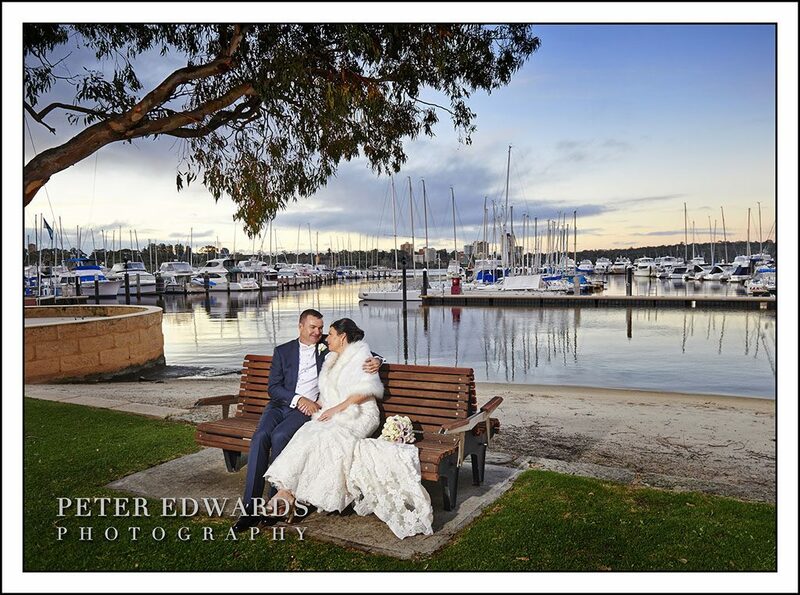 They chose Saint Michael of the Arc Angel in Leederville for their ceremony and the Royal Perth Yacht Club on the Swan River for their reception. 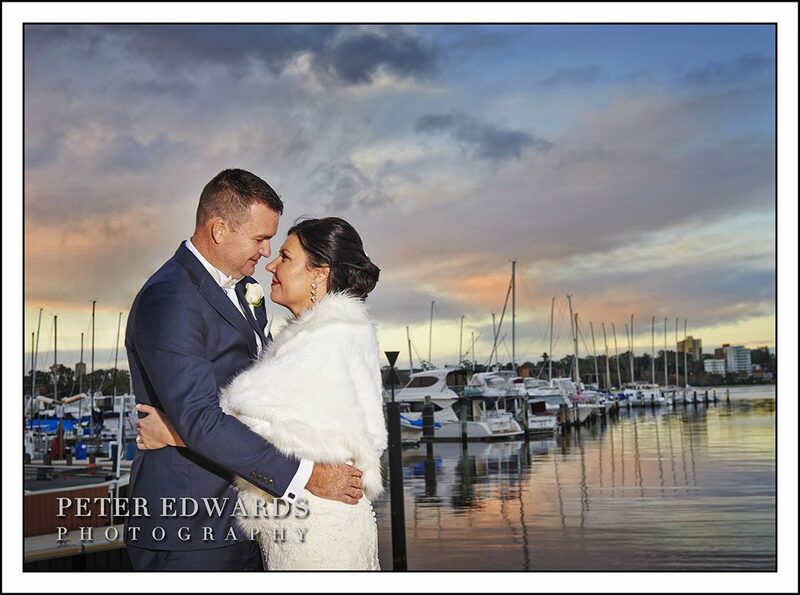 They were blessed with a sunny and very crisp winter day, possibly one of Perth’s coldest days with a maximum of around 14 degrees! 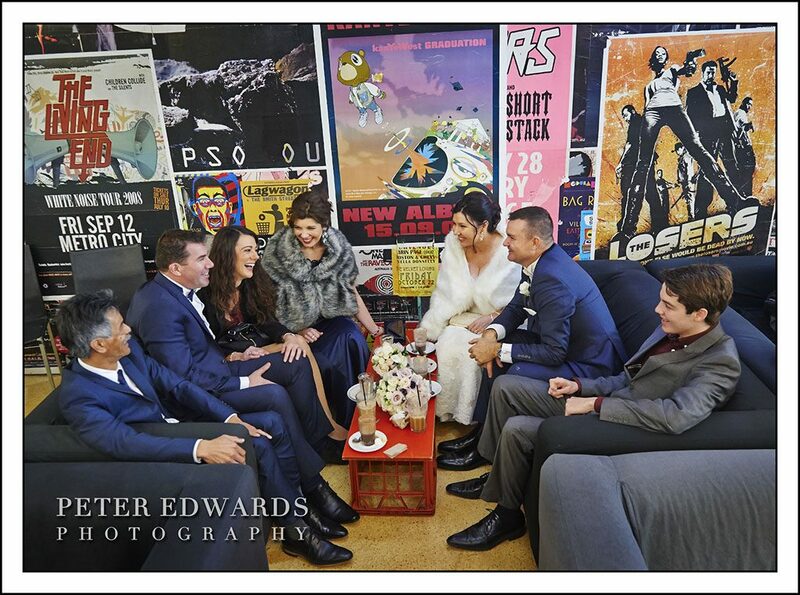 After not seeing each other for some time, Mark and Linley’s paths grossed at a reunion in Esperance. 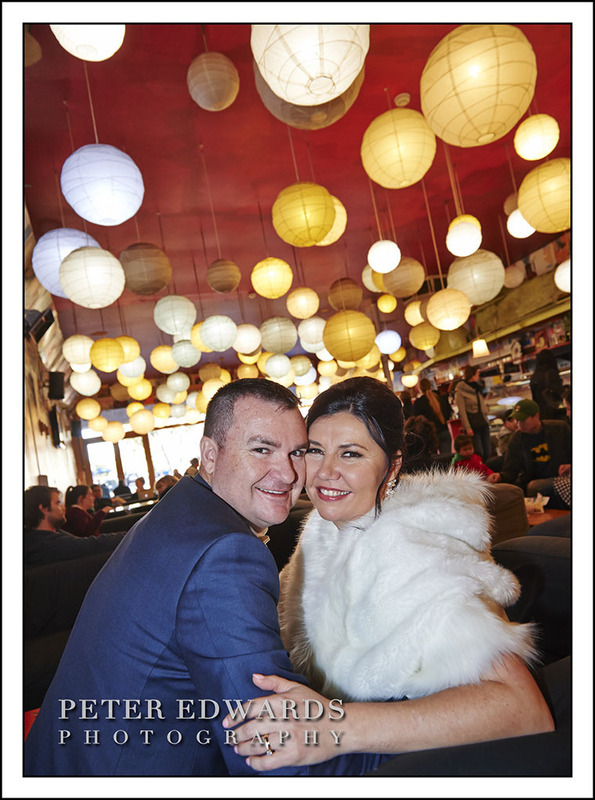 After a long distance relationship with Linley in Melbourne, the engagement happened in Adelaide. Except no one knew about the engagement for another 12 months when the engagement ring was then brought out of the vault and onto Linley’s finger. 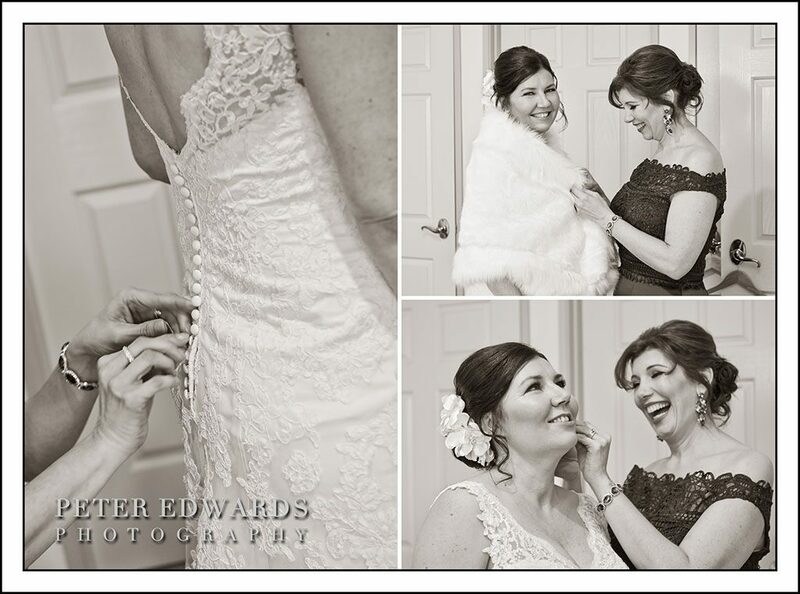 Linley and her bridesmaid Sonia had a leisurely morning going down the road for hair and make up and then back home to get ready. 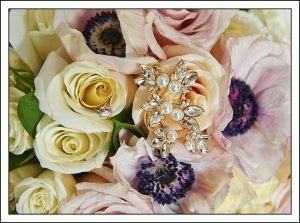 Linley’s cousin Amanda who owns Timeless Blooms designed the bouquets for Linley and Sonia. 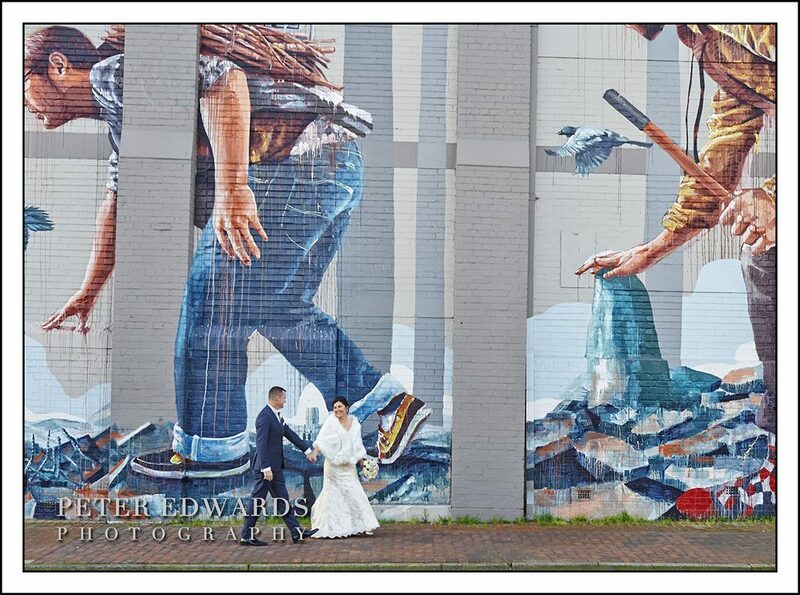 Linley’s gown was from Love Bridal in Como. Linley came prepared for the chilly weather with a fur wrap, which topped off the elegant and stylish look perfectly. 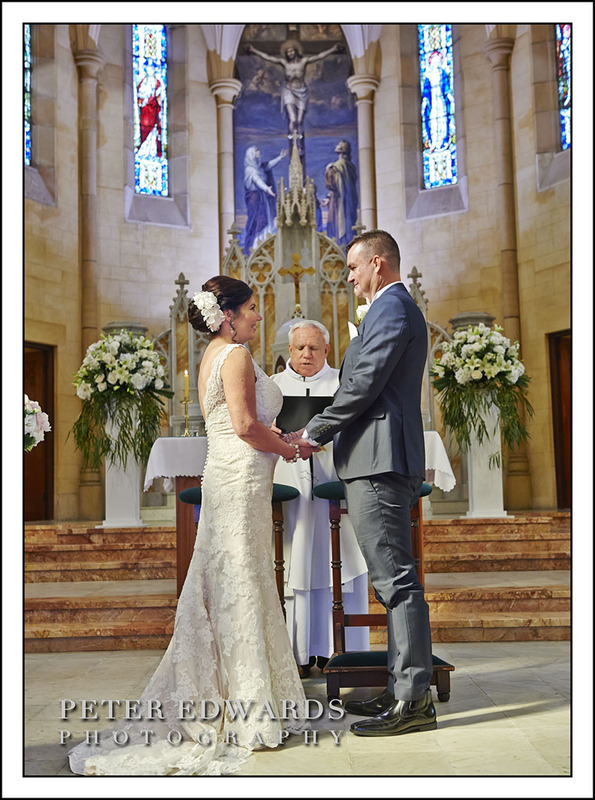 Linley and Mark put their own stamp on the wedding ceremony. They invited Father Tim who is long time friend of Linley’s, going back to when she was in youth group. She and Mark also chose to have a six-piece all-female musical group perform through out the ceremony. They discovered the group at the Fairbridge Festival. The group, “Iris” performs a’capella using their voices to create wonderful harmonies singing folk, gospel and blues. They were sensational and an absolute treat for the guests to hear. 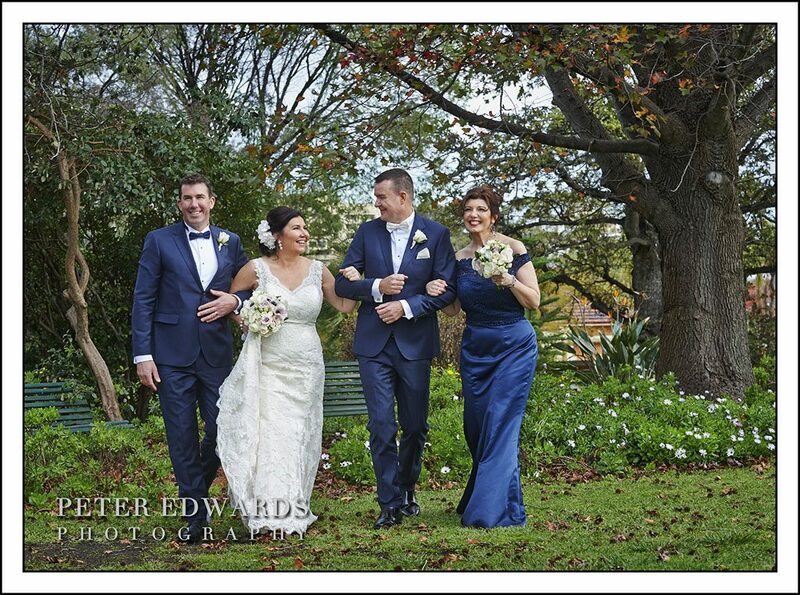 After taking wedding photos in the beautiful grounds of Saint Michael of the Arc Angel the bridal party decided they could do with warming up, so we headed down the road to Leederville for a hot chocolate. Once warmed up we took a few more photographs in the nearby streets before making our way to Royal Perth Yacht Club. That crisp winter day created a still river with reflections of the light fluffy clouds in colours of pinks, purples and oranges. 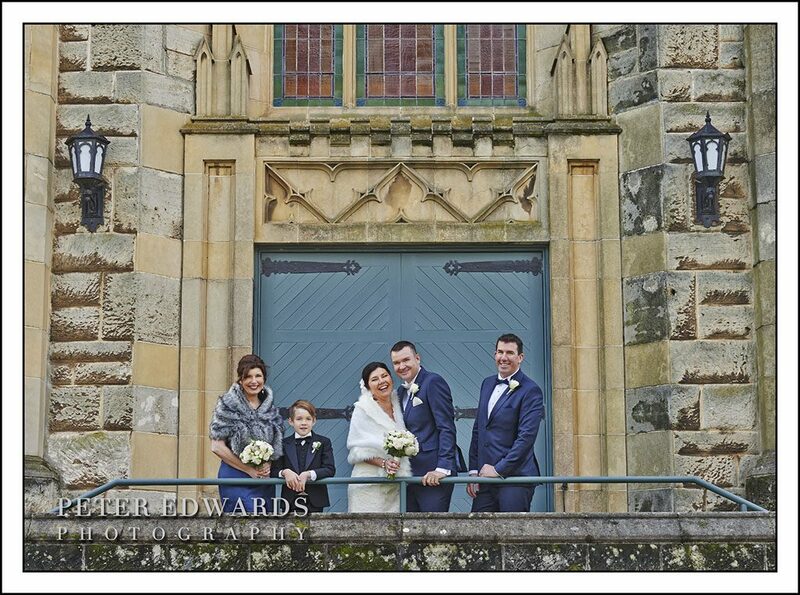 It was magic and we took advantage of scene by capturing some amazing wedding photos. Up stairs the reception was getting off to a good start with guests enjoying drinks while overlooking the sunset on the still water. 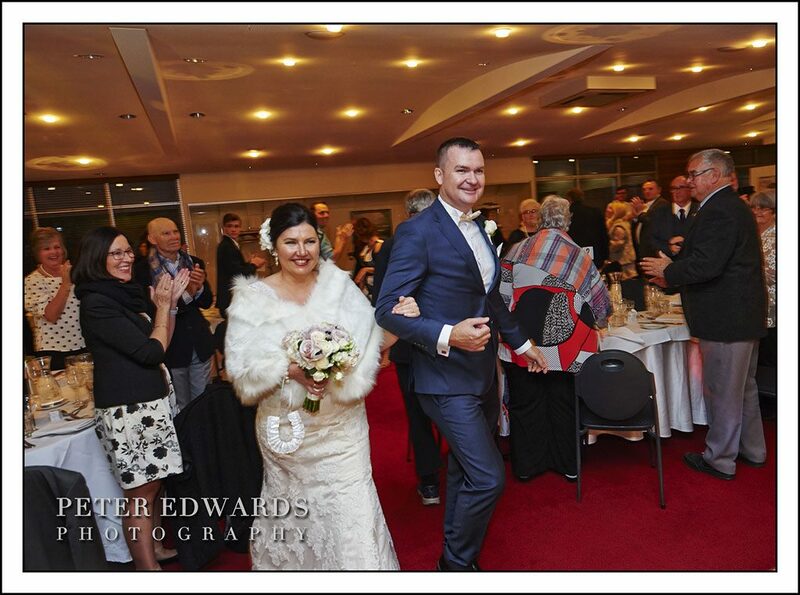 After Mark and Linley had made their entrance they enjoyed a bridal waltz while their live band played. 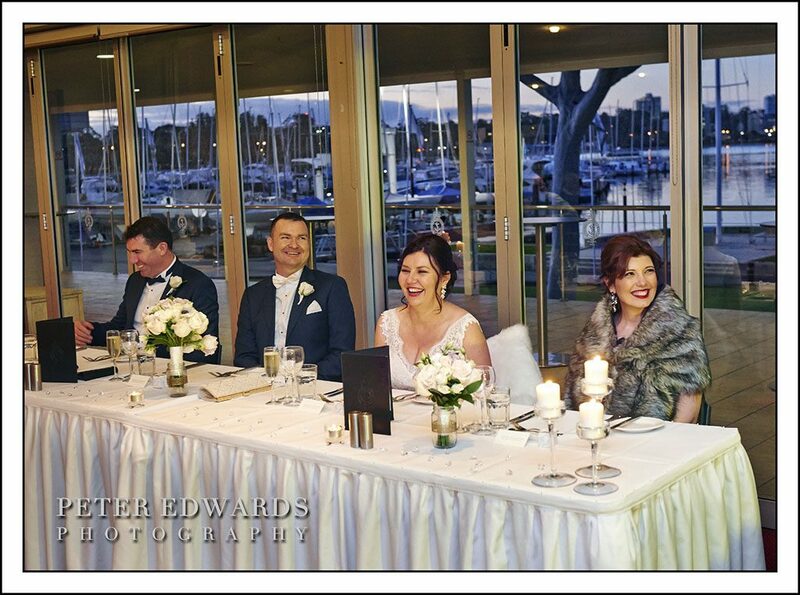 It was going to be a party night at the Royal Perth Yacht Club!